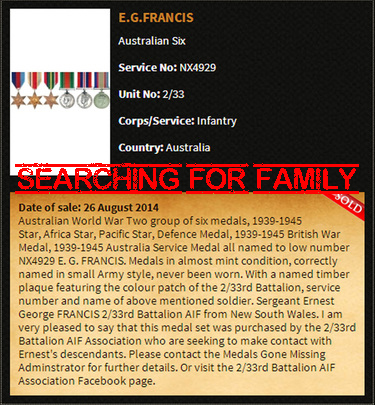 Medal group and plaque for NX4929 Sergeant Ernest George FRANCIS. 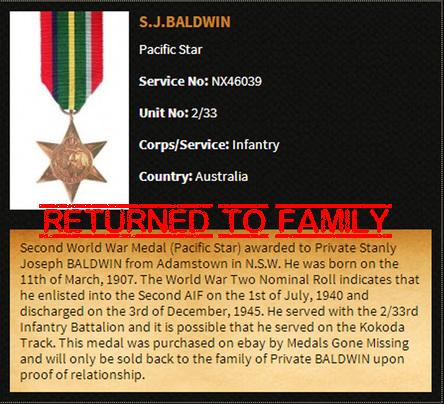 Purchased by the 2/33 Australian Infantry Battalion AIF Association. We are actively seeking the next-of-kin.